I can’t wait! I’m hoping to be torn rightfully and guttily by the two ships (first love and royal love, is what I’m calling them, ha). The King’s Woman airs Mondays-Wednesdays, 2 episode per day, starting on August 14th. Viki got the license! YAY! 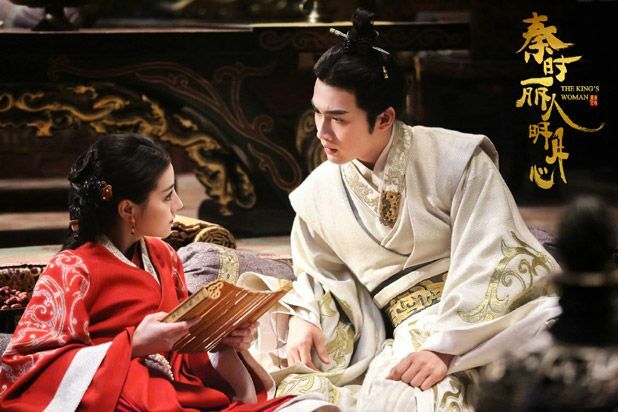 Dilraba with First Love Jing Ke, played by Liu Chang, he’s her second senior brother. They are holding hands and look very much in love. YESH. I love this!! GAHHH. 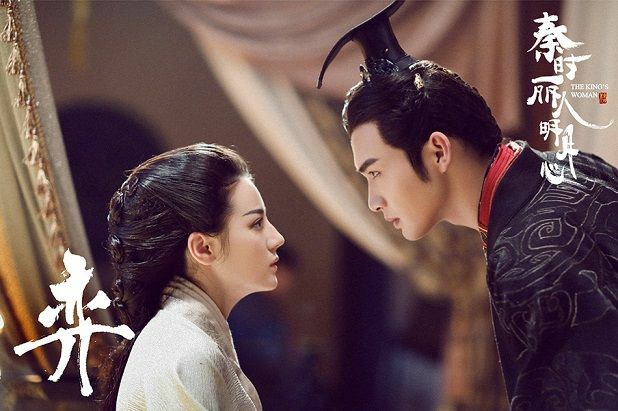 With Royal Love Zhang Bin Bin. Ohhh the spicy stare down! With First Senior brother who also loves her, played by Li Tai. Let’s called this the Brotherly love. The girl is Ge Nie’s daughter (whuuut? 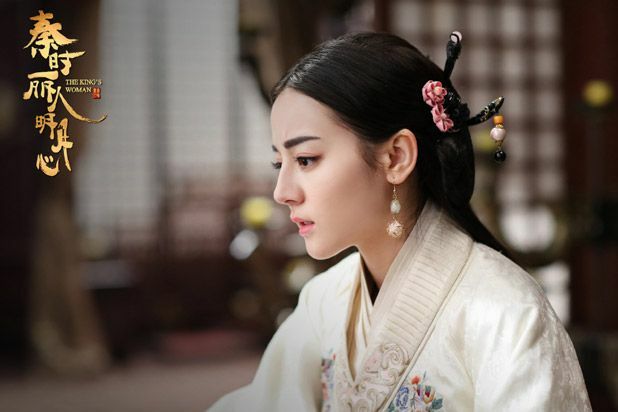 ), played by actress Zhang Xuan. She loves Jing Ke. I’m so in love with this song. Can anyone tell me what the new Chinese title is in English please? I only recognise ‘Qin’ I think. 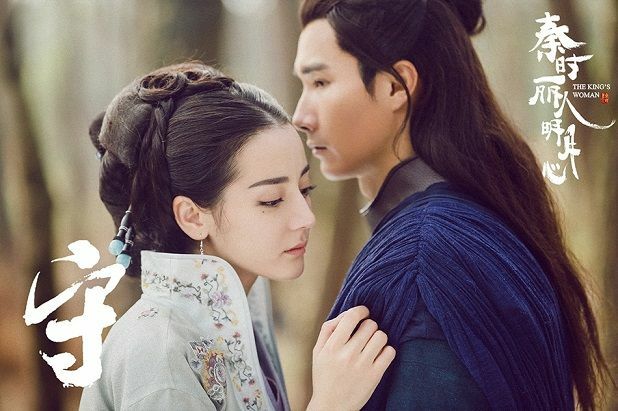 So excited for this even though I know it can’t end happily with Ying Zheng as the main love interest. This couple have so much chemistry. I’m excited for ZBB to finally have a lead role and what a role it is! The young eternal emperor! And I’m happy to see Dilraba finally getting a strong character to play. I think she is talented but her roles lately are all the same kind of cheerful ditzy type so it will be good to see her stretch her acting muscles. The directing looks great. Am so relieved they are mostly using sets and location shooting rather than the overkill of bad CGI we are seeing in too many period drama. The costumes are spectacular with so much detail too. We don’t get enough Qin dynasty dramas. The English title doesn’t change though. Its still The Kings Woman. CGI is used mostly in fantasy in which this drama is not. I also don’t see a lot of major war scenes where you need to fake the soldiers. It’s mainly a love story between the leads where the setting is the palace with a lot of talking scenes. 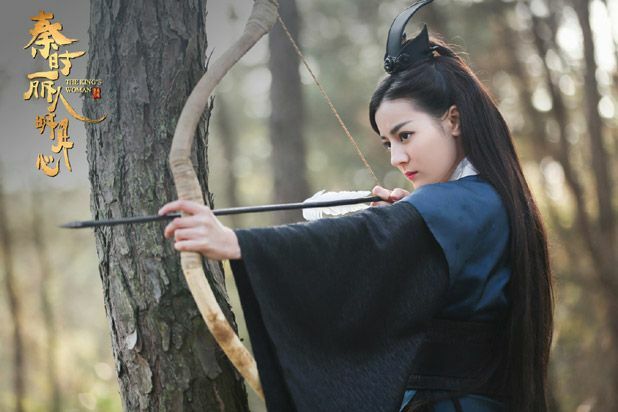 Qin Shi Li Ren Ming Yue Xin. Tips: The tags above the comments contain the C title. You can copy it and paste it to “Google Translate” or some other websites to have it translated. Alternatively, the AVV vids above also have the C-title that you could copy from. I agree. I also dislike at least a couple of Dil’s previous roles. I especially dislike Li Huizhen who was a frequent door mat character for a dozen eps. But I’m not going to comment on any specifics on recent dramas. I’m just browsing random AVV comments. Too busy to watch. 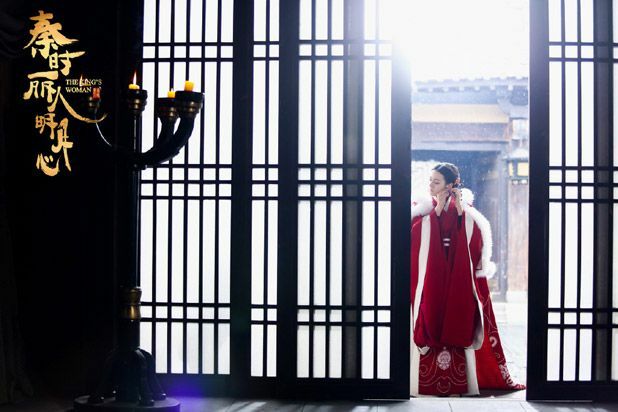 I’m new into Chinese dramas and have never watched a period drama so I’m confused. I’m on the King’s side though he’s so mean and forceful. But I’m scared to continue seeing as you fear it can’t end happily….why is that? Isn’t the actor who plays YingZheng the male lead in this drama? is there something pre-decided? Episodes 1-2 are available to watch on youku! Kap, are you planning to upload this ??? Ge Nie has a daughter?! I must’ve skipped through too much of Qin’s Moon lol. Waiting for more eps before I start watching. The timeline confuses me. IIRC, in the Legend of Qin Ge Nie is Jing Ke’s friends, whom he entrusts with his son — supposedly Dilraba’s baby here. I followed LoQ religiously when it was airing, but TBH don’t remember all the details now. I’m sure though there was never any mention of Ge Nie’s family prior to him meeting Duan Mu Rong and eventually the two became a couple. If Ge Nie has a daughter, who is attracted to Jing Ke, then she, Jing Ke and Dilraba’s character should be around the same age group. Oh well. I guess just like the series deviated tremendously from the anime, this so-called prequel is another plight from the original, LOL. So amazed at how fast they filmed this, it’s out already! I’m making a bet it’s going to beat PA by 10x’s boringness bc I was very bored by it on the first 4 episodes, was I watching a super-raw version or something why are the scenes cut so confusingly? In PA I was at least a bit excited on the first few episodes but I’ll see how this one goes bc the trailers and posters seem to show DLRB with some sort of interesting transformation. And…yes ZBB is very very very handsome and hot in here. They did the right thing to his make up, especially his lips, no dark color at all, they even try to shade it to make it seem less thick, but his thick lips ARE very handsome too, as long as the color isn’t dark like 3L3W then he is totally fine every way. I wonder if he might become the next big guy we’ll see everywhere considering how good looking he is. I think I keep having a feeling like DLRB is focusing too hard on trying to look good or pretty, or I don’t know if I’m secretly hating on her for no reason, hopefully her character will get more interesting thing happening to her so that thinking will stop. Right now, besides ZBB I find everything very slow. Also, seriously, DLRB looks SO pretty & girly in those hair for anybody to believe she is a man. @yoyo_oy: I’m waiting for subs so I’m not sure what’s going on half the time anyway lol! I think it will pick up when they enter the Palace. They are hurrying through all the set-up episodes to get to the palace drama and romance and Reba in gorgeous clothes. ZBB is so handsome in this and an excellent actor. I am amazed at his screen presence and gravitas for a 93-er. Not many 24 year olds could convincingly carry this character off. I just wish they hadn’t dubbed him. His natural deep voice is much better (and sexier) than the dub but nevermind. I love the natural lighting and cinematography too! I hate the plastic super bright look of Hunan productions. This is the kind of colouring PaA should have had instead of the shiny overproduced idol drama look. 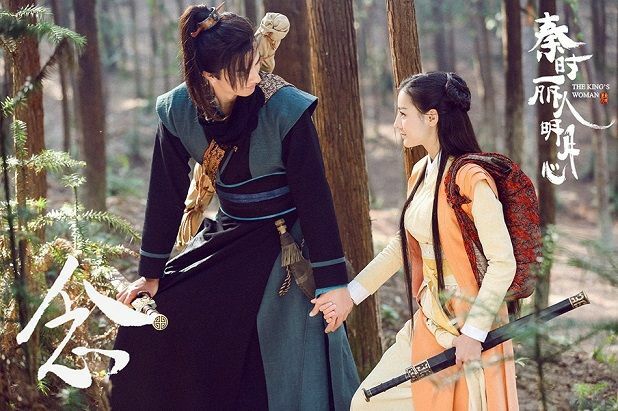 I think it’s practically the law now that every C-Drama has to have a childhood romance LMAO! I think it works here because it shows why Ying Zheng has been obsessed with her for so long. 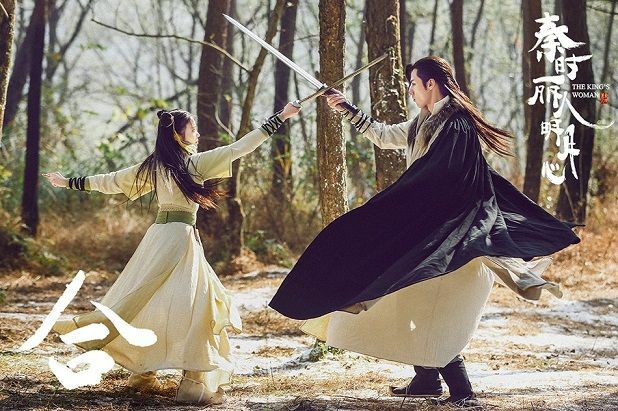 At least it isn’t instalove on Dilireba character’s side and she clearly doesn’t return his feelings yet so he’s going to have to work to get her to love him. So far, it’s your typical idol drama with the concentration on the artists’ appearance and wardrobe. Hopefully there will be substance as the story progresses. This king sure likes to do everything the hard way. I guess I had higher expectations for this. Very confusing editing for this drama. It feels all over the place and over dramatic at times with the slow-mo fighting and random super loud music. I feel like they cut a lot of scenes already since it just feels too choppy. Acting is just what I expected so no surprises there, but they don’t benefit from the drama taking itself too seriously. Everyone just has this confused painful look.